imdb.com listing for Breaking Bad (2008). TV Show suggested for rating by Nate Smith. 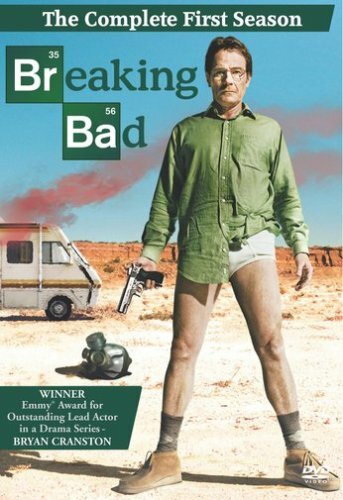 The premise of the show is that Walter White (Bryan Cranston), a high school chemistry teacher and formerly one of the world's leading chemists, is diagnosed with terminal cancer. To provide for his family after he dies, he decides to start producing and selling crystal methamphetamine. The show is the story of how he gets more and more involved in this world. The show is brilliantly written and is one of the most entertaining shows I've ever seen.